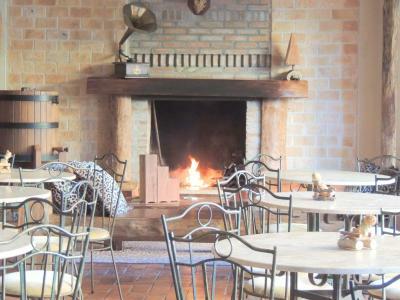 Lock in a great price for Pousada Sonho Meu Foz – rated 8.8 by recent guests! 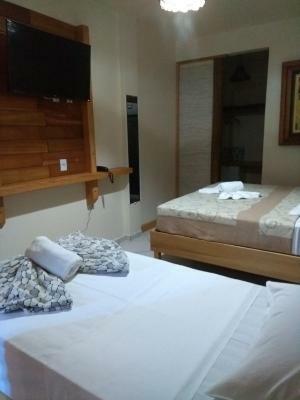 The property was cozzy and very close to the bus station. The staff was nice, and the breakfast was good. 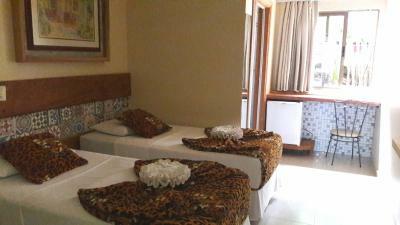 Exceptional breakfast, very good facilities (kitchen, gym etc) and comfortable room. 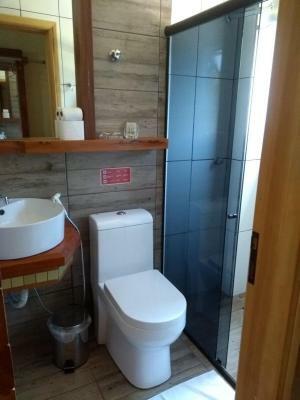 Very well maintained and clean. 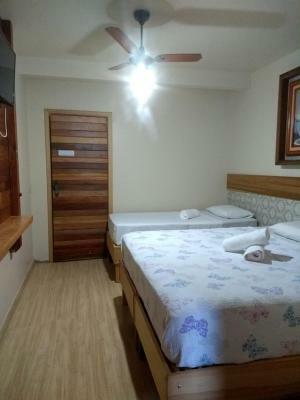 Located very close (2min walk) to bus terminal going to the falls. 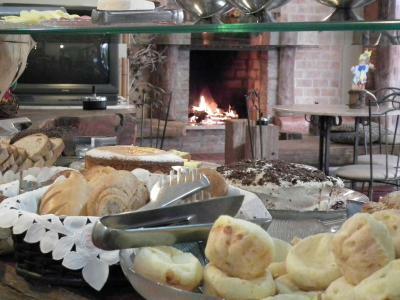 the breakfast was breathtaking and not just for southamerica. the room was really good. like a hotel. 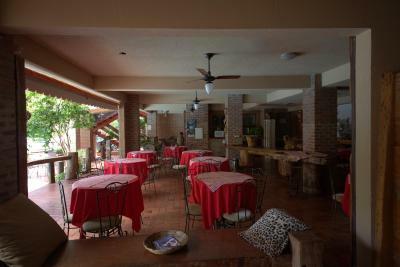 Good location, cosy rooms and guest garden with the pool, friendly (english speaking) personnel. Highly recommended. The location is the best to go out! Breakfast was excellent and I had enough variety! The staff were very friendly and helpful. 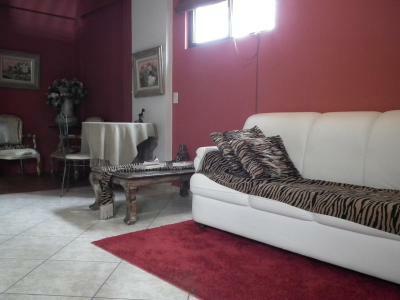 Wonderful location, close to the bus park. Very pretty garden setting with cozy nooks for quiet and reading. Pretty pool. Fantastic breakfast, fresh, tasty and presented with a smile- thank you! Right beside the bus station & really worth the extra reals to get a comfortable en-suite room after a long bus ride. Lovely pool & beautiful breakfast. Right next to bus station! Nice Lebanese food down street too for evening. My parents were traveling and I reserved for them. They like so much the hotel and the staff helped them a lot with everything...thanks!! Pousada Sonho Meu Foz is located in the center of Foz do Iguaçu. 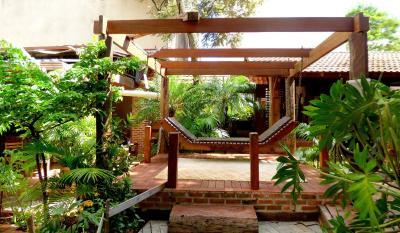 It features a pool and a tropical garden. Free WiFi is included and a guest computer is available in the lobby. 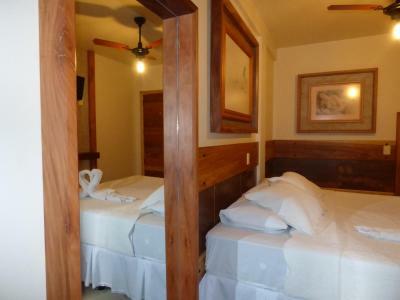 Each room has cable TV, air conditioning and a private bathroom. 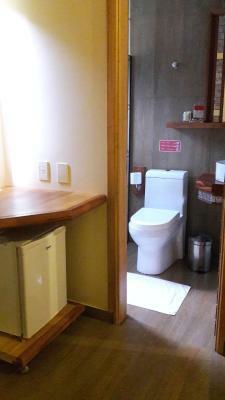 Additional amenities include a telephone and mini fridge. 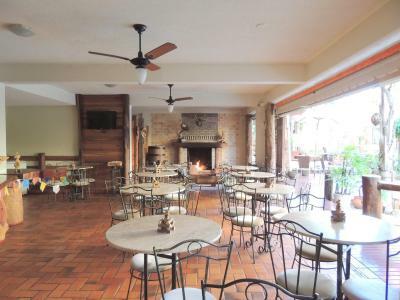 A complimentary breakfast including breads, cakes, fruit, drinks and some hot items is served each morning. 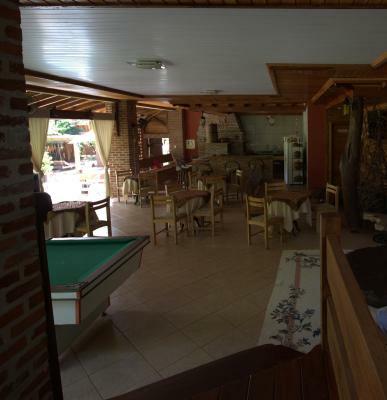 Pousada Sonho Meu Foz has a games room with billiards. Guests can also exercise in a small gym. A communal kitchen is available for the preparation of light meals. 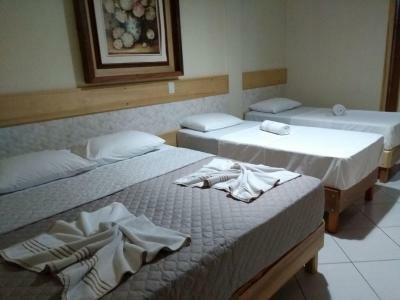 This accommodations is 9.3 mi from Cataratas International Airport and 11 mi from the Brazilian side of the Iguaçu Falls. 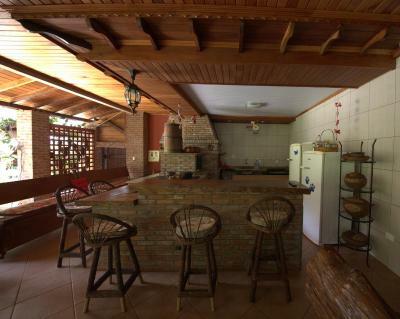 뀐 Located in the top-rated area in Foz do Iguaçu, this property has an excellent location score of 9.1! 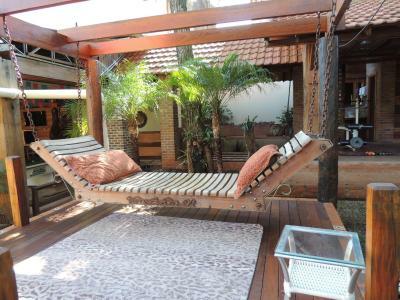 When would you like to stay at Pousada Sonho Meu Foz? 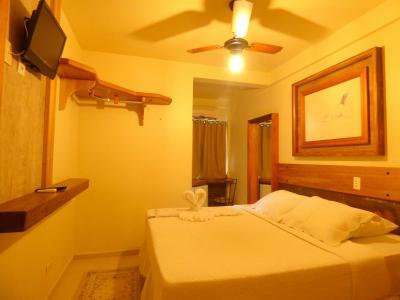 This air-conditioned room features cable TV, fan, telephone, box spring bed and private bathroom with a hot shower. 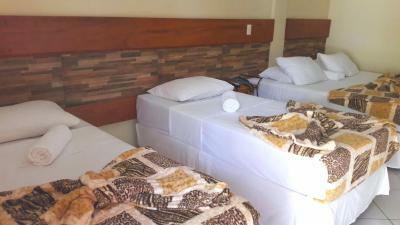 This air-conditioned room features cable TV, fan, telephone, box spring beds and private bathroom with a hot shower. 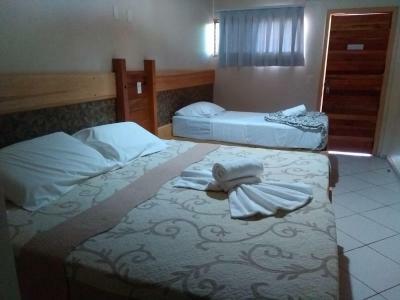 This air-conditioned room features cable TV, mini-bar, telephone, box spring beds and private bathroom with a hot shower. 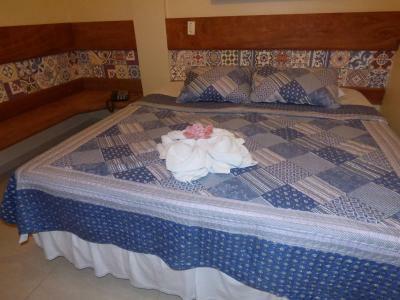 This quadruple room features a tile/marble floor, air conditioning and cable TV. 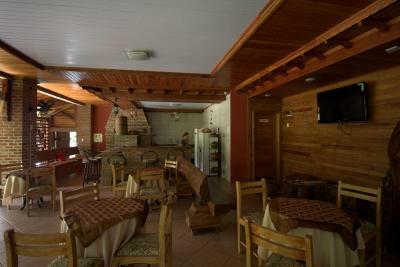 WELCOME is what we want everyone to feel at Pousada Sonho Meu Foz. 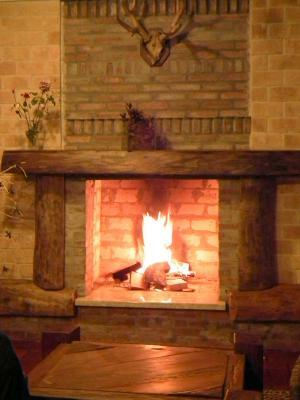 A cozy place where you will feel to be in your home. 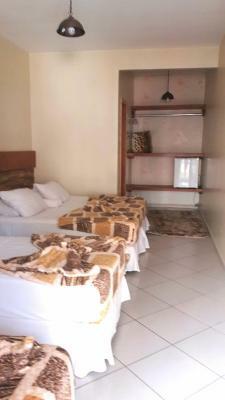 Lovingly decorated apartments with air conditioning, cable TV, box beds and bathroom. 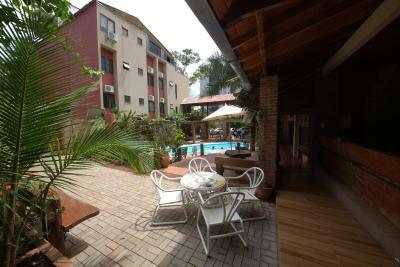 Pool, garden with lots of colorful flowers, birds, communal kitchen, space for physical exercise, reading or simply contemplating nature. Be very welcome. 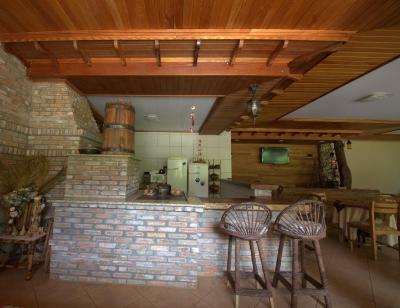 House Rules Pousada Sonho Meu Foz takes special requests – add in the next step! Pousada Sonho Meu Foz accepts these cards and reserves the right to temporarily hold an amount prior to arrival. Please note that breakfast is served daily from 07:30 to 09:30. Check-in is only available until 11:00. After 30 minutes, guests will be charged an extra fee. 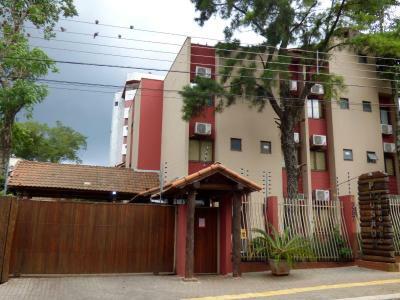 Please inform Pousada Sonho Meu Foz of your expected arrival time in advance. You can use the Special Requests box when booking, or contact the property directly using the contact details in your confirmation. Ground floor rooms a bit noisy as you can hear the reception. 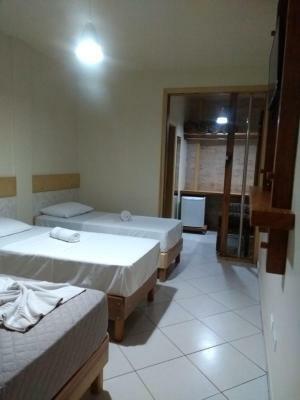 We had booked a double room and got a room for 4 People which looked more like a dormetry. 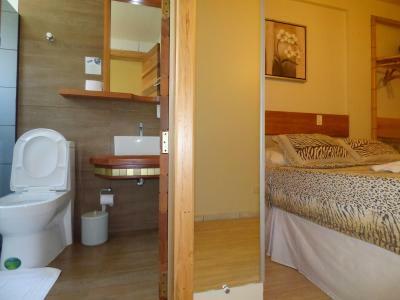 4 beds, A light Ball in the ciling, a small barthroom - nothing else. 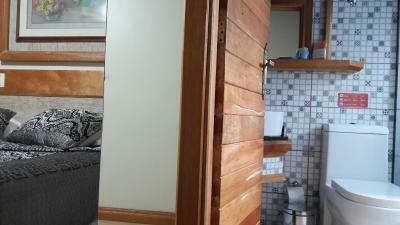 Not a very cosy room. Great breakfast and Very Nice and helpful staff. We received a warm welcome from Carlos upon arrival. Our Portuguese is limited to a few words and he was very friendly and helpful. Throughout the stay the English speaking manager/owner? was helpful when she was called to the desk. 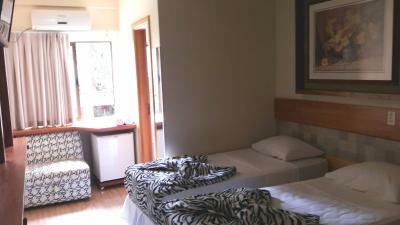 The problem was that another front desk staff wanted us to pay the bill when we had already paid on Booking.com. Luckily, I was able to pull up on my iphone the Visa paid charge. We didn't feel it was dishonest but more a lack of understanding on the front desk of how Booking.com works. This made departure uncomfortable and unpleasant. The tourism lady in the lobby (sorry to have forgotten her name) ranged from helpful to a bit pushy. 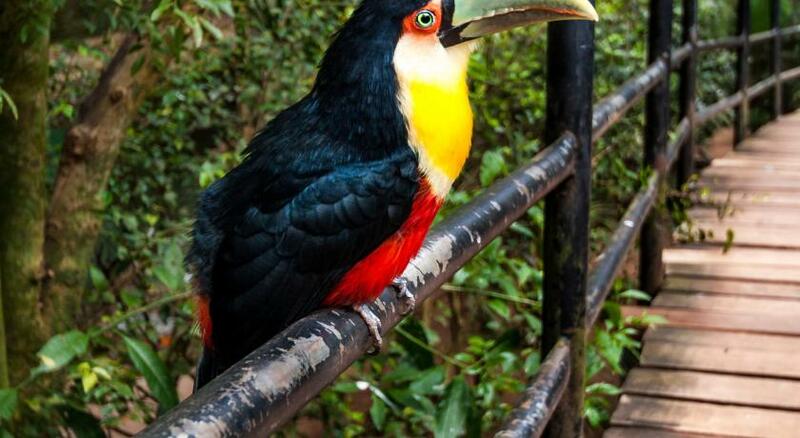 However, the services she set up were fantastic: pick up at the airport, transport to and from Argentine side of Iguazu Falls, ride to the airport with an hour stop at the spectacular bird park. Thank you. 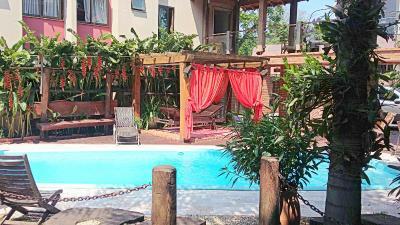 Beautiful homely external pool and garden area. Great assistance by all staff and so friendly. The staff don´t speak any english at all. Very good breakfast. 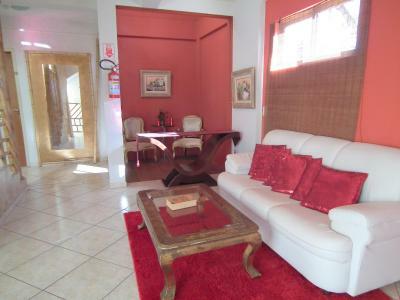 Very nice spot with a small pool, kitchen facilities, nice garden and fitness facilities. 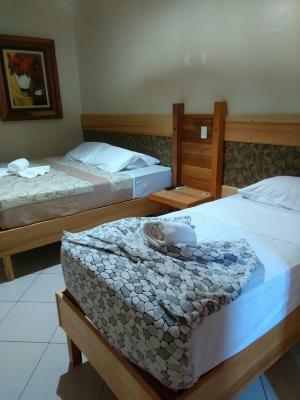 Clean and comfy rooms, excellent location and helpful staff. Great view from the pool, homemade cakes for breakfast and the ladies at the kitchen are just adorable!